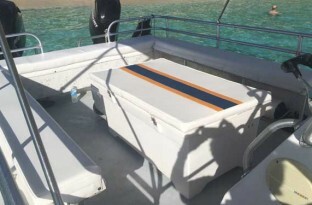 This 26′ Twin Vee power catamaran offers a lot of fun for a tiny budget! 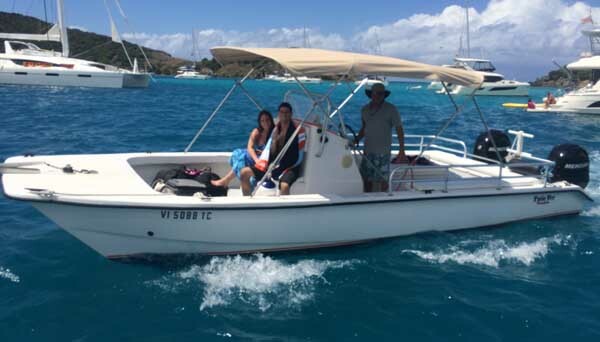 Explore the Virgin Islands in a smooth, comfortable boat with this stable riding catamaran. Plenty of room for your party to relax and enjoy the Islands. 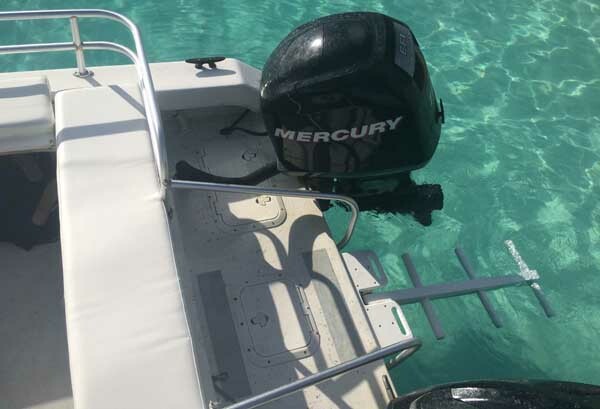 Easy access in and out of the water with steps and handrails. 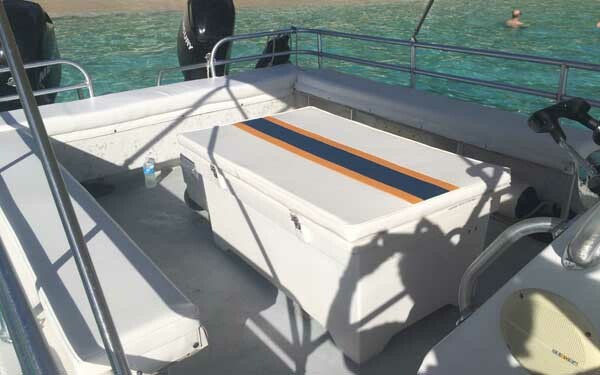 8.5′ X 10′ bimini top provides twice the shade of the average boat its size. Full Day: (8 Hours) $595, plus $150 Captain Fee, plus Fuel. 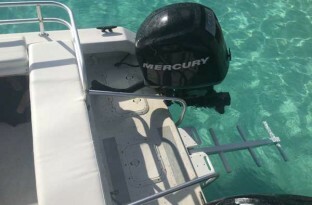 The boat can carry 6-8 passengers, depending on size of the passengers. If your party exceeds that, we can still accommodate your group by using a larger boat, or by adding more boats…just think – you can have your own armada!